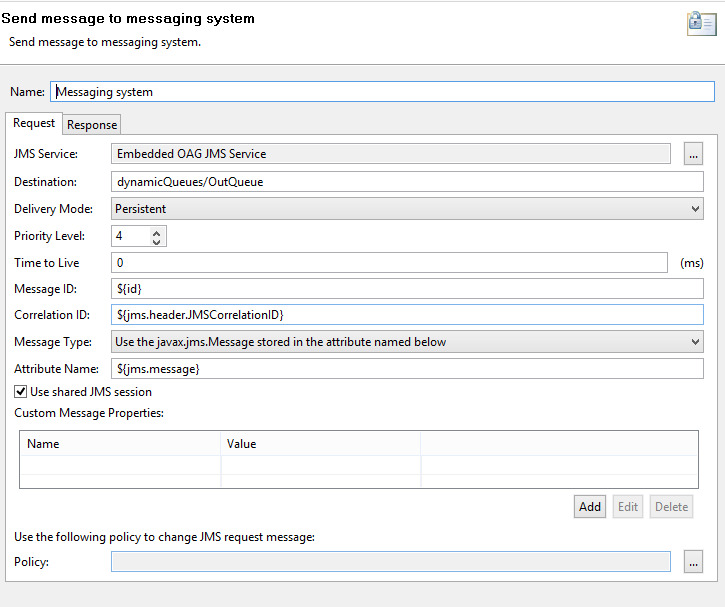 I was working on one of the requirement in which we have to communicate third party application using JMS queues. 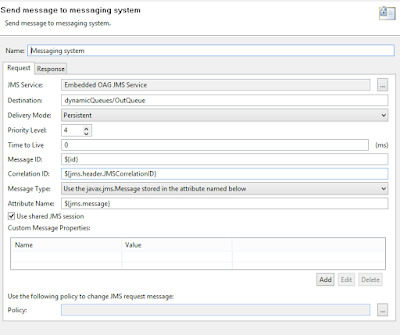 We are using oracle application gateway as a inbound/outbound interface so all the communication done through OAG, so in this case we are using JMS configured on oracle application gateway. 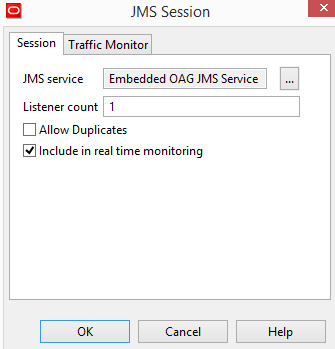 Well in this blog post I am not going to describe my usecase but I will describe the basic step required to enable JMS in oracle application gateway (OAG). I am going to enable jms in OAG first. I will create two queues incoming and outgoing. OSB application put the data on to incoming queue then jms listener in oag listen this incoming queue and put the data on outgoing queue. Well I am just showing here how to create a api gateway policy for jms communication so I am not going to tell how to configure your osb application to put the data on incoming (I hope you all know how to configure that). Click Ok. Deploy your configurations. create two queues i.e. InQueue and OutQueue. Under policies --> create a policy container name "JMS Policies"
Create policy i.e. "OAG Outgoing"
Click Ok to create a policy. Add JMS consumer inside this JMS listener.